A second Martian meteorite that shows ‘signs of microbial life’ has been found, Hungarian researchers say, 20 years after scientists first made a similar claim. 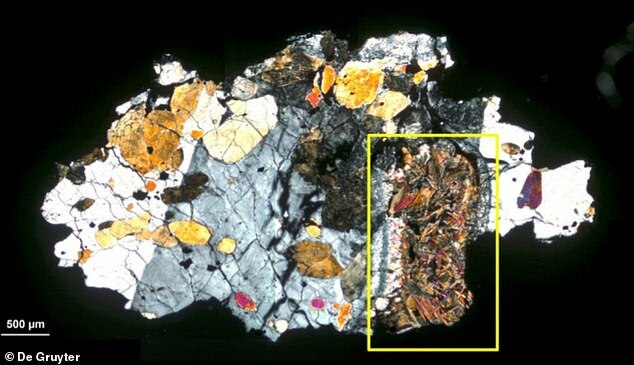 The meteorite, officially known as ALH-77005, is claimed to contain ‘biosignatures’, which researchers describe as textures and features left behind by organisms. Experts used advanced imaging techniques that they say revealed microfilaments created by fossilised Martian microbes. This is not the first time such a claim has been made, with NASA saying in 1996 that it had found similar signs of life on Mars in another space rock. Even US president Bill Clinton endorsed the scientists’ findings at the time, saying the discovery could offer the ‘most stunning insights’ into the universe. Scientists at the time said that it was impossible to prove or refute such claims as the markings could have been formed by non-biological processes. Dr Ildiko Gyollai from the Hungarian Academy of Science (HAS) Research Centre for Astronomy and Earth Sciences in Budapest led the most recent study. 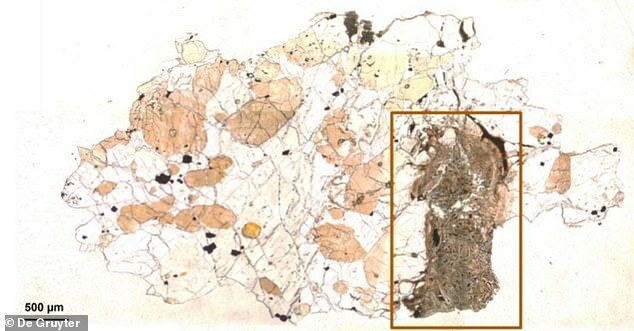 His team used a variety of methods to study the a thin section sample of ALH-77005, including optical microscopy and infrared technology, to look at its texture. Researchers also examined minerals and other material embedded in the stone, as well as conducting isotope tests to check for the chemical components essential for life. They concluded that the microscopic filaments inside could point to the presence of bacteria that survive by eating iron rust. 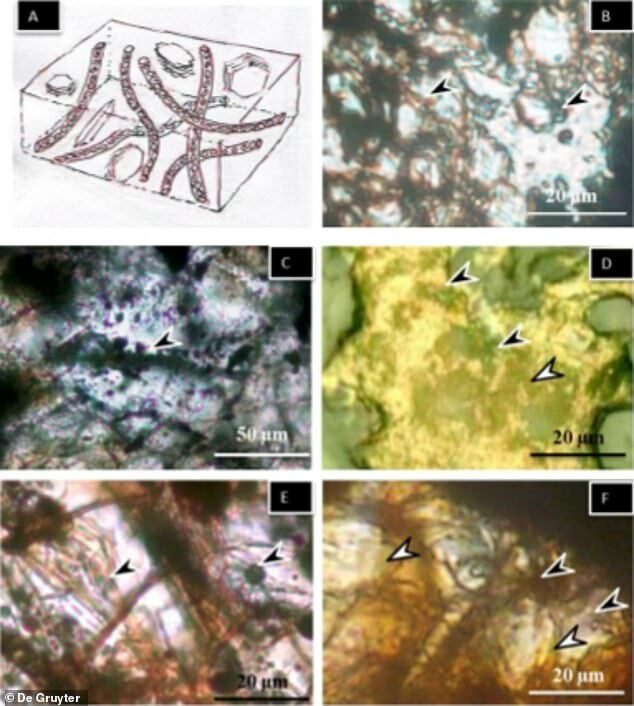 In 1996, NASA scientists claimed to have found proof for microbial life in a meteorite from Mars known as ALH 84001, also citing the appearance of strands and filaments. The rock was produced four billion years ago on Mars and landed on Earth around 13,000 years ago. Speaking at the time, President Clinton said: ‘Today, rock 84001 speaks to us across all those billions of years and millions of miles. ‘It speaks of the possibility of life. If this discovery is confirmed, it will surely be one of the most stunning insights into our universe that science has ever uncovered. The second rock was found in the same location as the first, Allan Hills, but not by American scientists in this case. It was discovered in Antarctica during the Japanese National Institute of Polar Research on the 1977-1978 mission, and given the name ALH-77005. The full report on the latest study is published in Open Astronomy. WHAT IS THE ALLAN HILLS 84001 METEORITE? A controversial 2001 study into a 4.5 billion-year-old meteorite, dubbed ALH84001, which was found in Antarctica’s Allan Hills ice field in 1984, claimed it had definitive prove of life on Mars. Meteorite ALH84001 was blasted off the surface of Mars by a comet or asteroid 15 million years ago, and Nasa researchers said it contains proof the Red Planet was once teeming with bugs which lived at the bottom of shallow pools and lakes. However British experts said at the time that the evidence had to be treated with caution and could not be taken as conclusive, since many non-biological chemical processes could also explain what was found. The potato-shaped meteorite is 4.3lbs (1.93kg) and made headlines when scientists thought it may contain fossilised bacteria. The rock has been dated to about 4.5 billion years – the period when Mars formed. It is believed to have originated underneath the Martian surface from an volcano. Previous Post:Lola Pearce is hiding a HUGE secret in EastEnders – but who is her fiancé and why did she and Jay ever split? Next Post:How old is Kit Harington, when did Game of Thrones’ Jon Snow actor marry Rose Leslie and how tall is he?